06/01/18 The Scott G2 is now discontinued. The predecessor is the the Scott G Series. Aptly described as their “technical presentation” fly rod, the Scott G2 stands out as an excellent choice for dry fly purists that enjoy the soft feel of a well-built rod loading up and delivering a Royal Wulff to a rising trout. 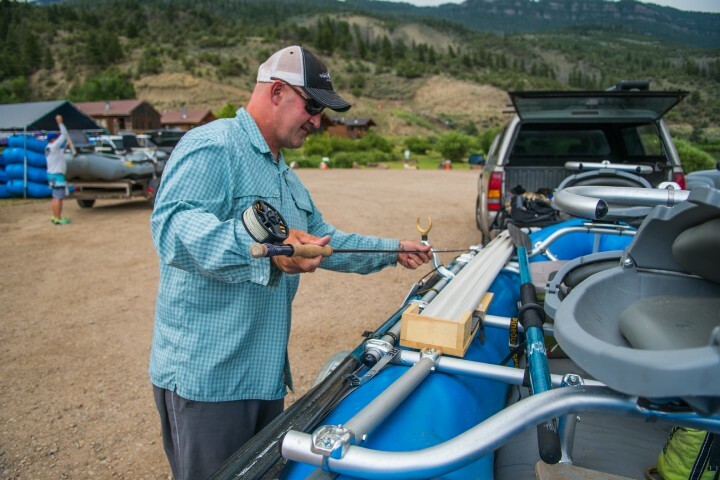 The G2 is made in Montrose, Colorado for anglers by anglers who enjoy casting premium graphite fly rods that have more in common with bamboo or fiberglass rods than stiff, super-fast action cannons that don’t bend without forty feet of overweighted fly line off the tip of the rod. Make no mistake, Scott’s G2 flexes. It flexes when you cast, it flexes when you fight fish. 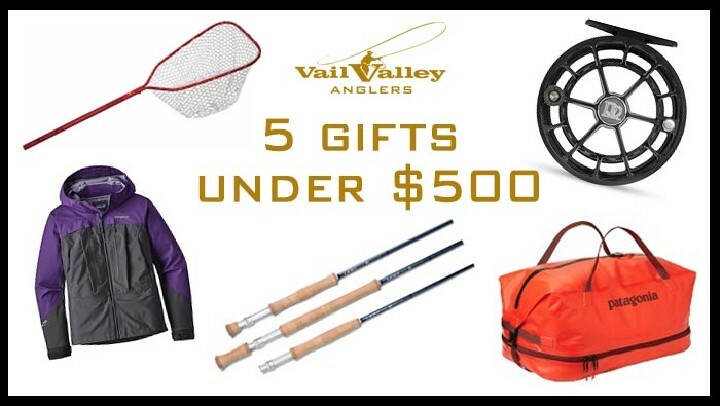 It protects light tippet and delivers extremely accurate casts with delicate presentations that don’t spook wary trout. The G2’s medium action will work well for lightweight streamer and nymphing duties but shines in any dry fly situation. For everything from stalking small mountain creeks to floating medium-sized rivers, there is a G2 model that will make believer out of even the most staunch fast-action fly rod supporters. My personal favorite in Scott’s G2 line is the 8 ft 8 inch 4 weight. 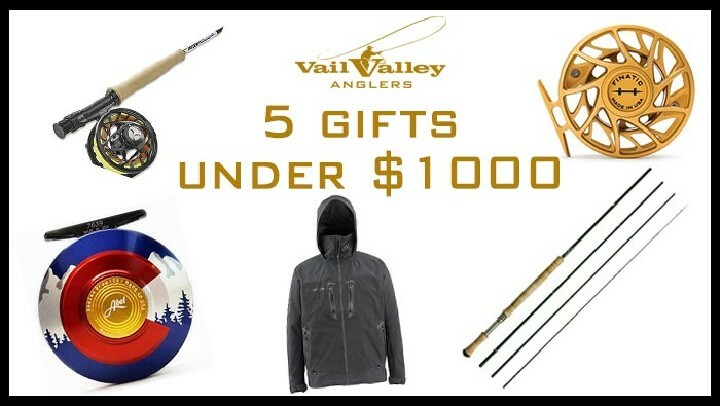 It’s a true dry fly rod, ideal for float or wade fishing the Eagle River. There are many other G2 models available that cover specific angling applications or general fly fishing for trout-sized fish. Weights range from 2 to 6 lines. Lengths vary from short 7’7” creek models to standard 9 ft 5 and 6 weights rods that can serve as your primary weapon of choice. 8’, 8’4” and 8’8” length options are also available in a variety of rod weights. All G2 rods come as 4-piece rods with a travel sock and aluminum rod tube. Starting with an oversized, thin-wall X-Core blank, the G2 is modern from the inside out, but has a classic appearance thanks to details like hollow internal ferrules, rust-brown wraps and finish cork on the grip. Silicon Carbide guide rings keep your line cool and casting smoothly, and Scott’s low-gloss Natural Finish reduces weight while simultaneously reducing flash that can alarm wary fish. 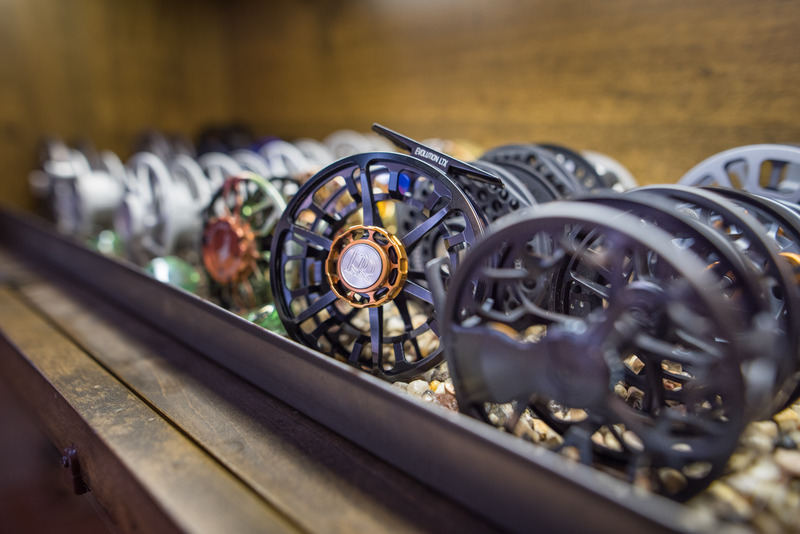 Select box elder reel spacers and blackout aluminum reel seats suit the G2’s technical nature beautifully. The G2 is by far, my favorite trout-specific fly rod. As a fly fishing guide I understand nymphing is a necessary evil but you’ll rarely see me fishing on my own with a bobber. While I sometimes still get fired up for chucking streamers with heavy rods, big heavy flies and nasty spring and fall weather, it’s really the simplicity and purity of dry fly fishing that I enjoy the most these days when I find myself on the water without clients. I like searching for trout that are eating on the surface and sneaking into position for the best shot. The G2 is made for this type of fishing and it is actually a great rod for new casters to learn with because of the touch and feel that comes with the G2. The rod forces anglers who are used to fast, stiff rods to slow down and wait. It’s really fun to feel this rod load up. If you can manage this, the rod is incredibly accurate. Heavy hook sets are dampened and light tippet is protected. Fighting large fish is a hoot and takes some finesse and patience. For more information on the Scott G2 or any of the Scott Fly Rod models, check out the Vail Valley Anglers fly shop in Edwards, Colorado.